Week 13 typically represents the final week before the playoffs start in seasonal leagues. If you are like the many that have not had a great season-long season, you have probably been playing DFS for some time. For those of you that have been holding out hope and it all came crashing down last week, I am here to soften the blow. Your dreams of a league championship and bragging rights may be crushed, but if you stick with me, the only thing that will be crushing will be your lineups. For the first time since week 3, there are no teams with a bye week. The only teams unavailable for the main slate are the Thursday night, Sunday night, and Monday night games. Those 6 teams are the Saints, Cowboys, Chargers, Steelers, Eagles, and Redskins. 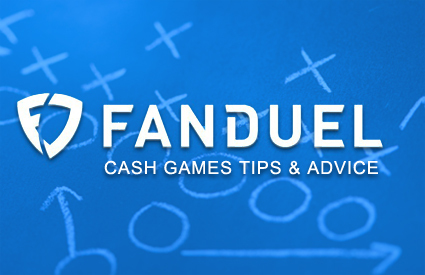 Let’s dive into my 7 players to consider in FanDuel cash games for week 13. I will admit, I am a Jameis Winston guy. I don’t agree with his off-field antics, but when he is on the field, he is a very good option. What I like even more, is the Buccaneers passing game. 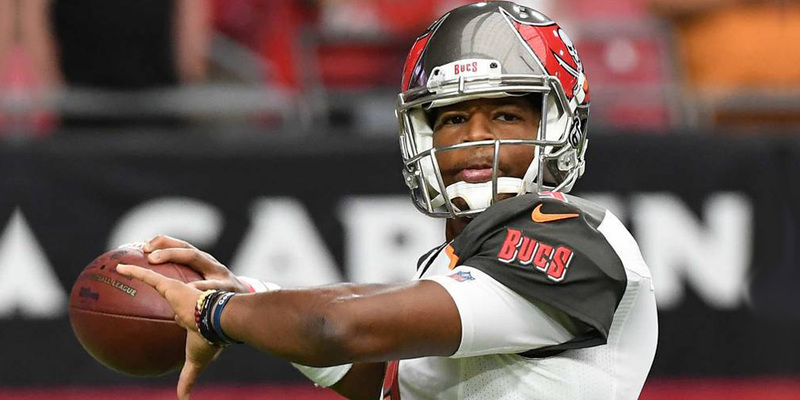 If you combine Winston’s numbers with Ryan Fitzpatrick’s numbers, it results in 4,058 passing yards and 25 passing touchdowns. That is 368.9 passing yards and 2.27 touchdowns per game. In addition to what Bucs QBs have accomplished this season, the offense is one of the most pass-oriented in the NFL. The Bucs have thrown passes on 62% of their plays which is 7th highest in the league. The Bucs also run the 2nd most plays per game (65.9) which means more pass attempts. Now Winston plays the Panthers who are allowing the 4th most points to quarterbacks since week 9. The Bucs are going to throw the ball in this matchup and Winston should benefit from having a ton of opportunity. I am going way out on the limb here with Jeff Driskel but hear me out. If you think I’m crazy after my reasoning then just ignore this pick. The best thing about Driskel is his price. At $6,400, playing Driskel will allow you to stack studs throughout the rest of your lineup. As for why Driskel could produce solid numbers this week, first of all, he will face a Broncos defense that is allowing 20.08 points per game to quarterbacks over the last 4 weeks. The Broncos bring a scary pass rush to the table but Driskel is mobile and has the ability to scramble and make plays on the ground. He has scored 2 rushing touchdowns already this season. In college, Driskel scored 14 rushing touchdowns between 2012 and 2015. The Bengals may attempt to run the ball more than normal this week but they are currently throwing passes on 65% of their plays. So, if you are unconvinced that Driskel could reach his value at $6,400 then disregard my ramblings. However, Driskel could produce in a nice matchup against a defense that has struggled to stop quarterbacks. 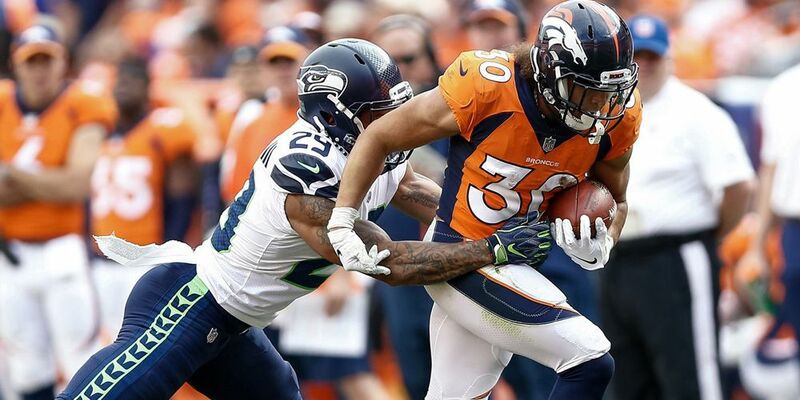 I can’t get enough of watching Phillip Lindsay play. He is electric every time he touches the ball and he is such a fearless runner. Lindsay has taken over the backfield and is playing almost 60% of the snaps for the Broncos. Over the last 4 games, Lindsay has had 21, 19, 15, and 14 touches while averaging 103 total ypg and 4 touchdowns. He is averaging 5.8 yards per carry on the season and now gets the Bengals defense that has been the worst against opposing running backs over the last 4 weeks. Royce Freeman is thought of as the red zone back, but Lindsay has more red zone opportunities than Freeman over the last 4 weeks. Lindsay has the potential to blow up in week 13 and should top his price tag with little problems. 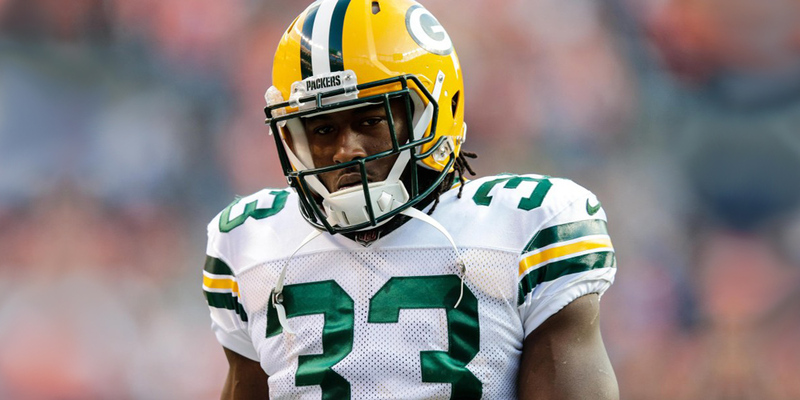 Over the last 4 games, Aaron Jones has seen at least 16 touches and been one of the most productive backs in the NFL. He is averaging 113.25 total yards over the same span while scoring 5 total touchdowns. He is explosive and is averaging 6 yards per carry this season. Aaron Rodgers continues to praise Jones and it has resulted in more touches and huge amounts of success. Jones is the only running back since week 9 to see a red zone touch and is receiving 50% of the team’s red zone opportunities. He will face an Arizona Cardinals defense that is allowing the 5th most points to running backs since week 9. 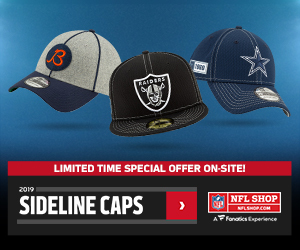 Jones is going to continue to dominate in week 13 and should bring cash to your pocket along with him. Brandin Cooks is the WR1 for the Los Angeles Rams. He has been targeted 12 times in each of the last two games and has gone over 100 yards in 3 straight. Cooks draws the Detroit Lions in week 13. My first thought was that Cooks would draw coverage from Darius Slay, however, utilizing The Quant Edge’s WR/CB matchup tool, I found that Slay is not shadowing top receivers as often as he has in the past. He is spending about 60% of snaps lined up on the opposite side of Cooks. 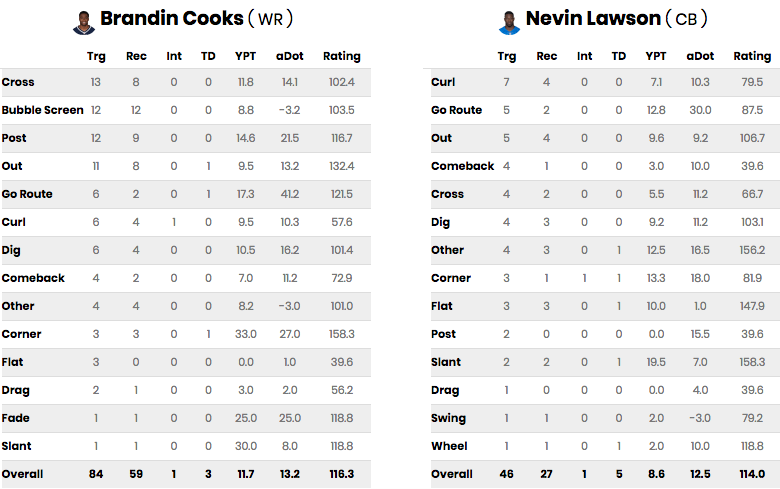 All of this means that Cooks should see plenty of Nevin Lawson. Lawson has struggled this season while Cooks has dominated and could be looking at another big week. The Lions have allowed the 7th most points to receivers since week 9. I have been on the D.J. Moore bandwagon since week 8 when he caught 5 passes for 90 yards. He mixed in a couple duds after that but the last two weeks has been the Panthers WR1. I loved Moore in the first matchup with the Bucs and he failed to deliver. I am back at the bank with more Moore for everyone. Moore lines up as the slot or right receiver on almost 75% of his snaps. This means he will mostly face off with M.J. Stewart (148.8 QB rating against) and Brent Grimes (108.4 QB rating against). Both guys have struggled this season and have a combined 5 to 0 touchdowns allowed to interceptions forced. The Panthers should attack this defense through the air in what is a must-win for their playoff hopes. I’m not sure that there is another tight end that I would play in any lineup. Eric Ebron is tied for the league lead in touchdown receptions and now Jack Doyle is out for the season. When Doyle was out from weeks 3-7, Ebron received 11, 10, 15, 7, and 7 targets respectively. In that same span, he also scored 4 touchdowns. He now gets to dominate the tight end targets from Andrew Luck and that should lead to more monster production. Let’s not forget about his matchup this week, the Jacksonville Jaguars. In their last meeting, Ebron posted 26.6 points. The Jaguars have also allowed the most points to the position over the last 4 weeks. Ebron is going to be a monster down the stretch and it should continue this week. Thanks for sticking with me another week and as always, I look forward to helping you dominate your cash games.